Taylor Swift tells a 'magical' anecdote about the computer tech who taught her guitar when she was 12, and that teacher, Ronnie Cremer, is sharing his side of the story for the first time. Other figures from her past, like the pizza guy who also gave her lessons and the photographer who helped launch her to stardom, shed light on the 'Shake It Off' singer’s beginnings. 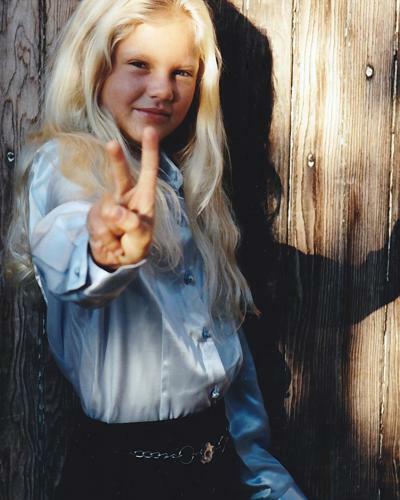 Taylor Swift is seen in a photo by Andrew Orth of Shillington, Pa., who shot thousands of photos of her in the years before she was a superstar. READING, Pa. — The search to fill in a weirdly untold story about Taylor Swift has become a medium-speed car chase. I’m in my vehicle, following this guy Joe in a red Mazda through the hills surrounding Reading, Pa., looking for Ronnie Cremer at DC Computer Repairs. Swift’s “Shake It Off” is blaring, and the song’s energy adds tension to the drive. It is fair to say we’re zipping, scooting through a few yellow lights. This is Joe’s style, apparently. He makes a sharp left into a McDonald’s; I pull beside him in the parking lot and roll down the window. “I’ll be right back, I’m just going to pick up my friend,” Joe says in a Queens-bred, wiseguy patter. The Swift tale has been told endlessly, but never fully. Anyone with basic knowledge of pop culture can recite the cast of friends, exes and characters in her official bio: John Mayer, Lena Dunham, Joe Jonas, Karlie Kloss, Harry Styles. But there is also the guy we’re racing to find. Ronnie Cremer. The man behind the myth. Or the man the myth forgot. Haven’t heard of him? Neither had I, until a few hours ago, at least not by name. But now there is an identity. And an address. And a sense that the story behind an icon is minutes away. Joe — more on him later — is leading me. He emerges from the McDonald’s with a guy who he was supposed to meet for coffee, before he got wrapped up in this pursuit. He gets back in his car, and takes me to the computer store. 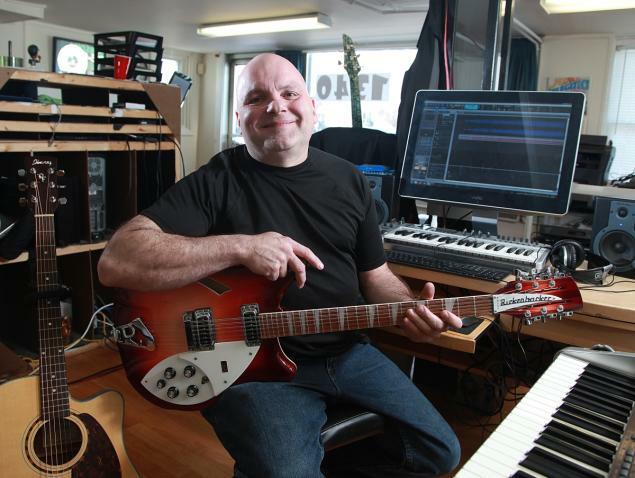 Ronnie Cremer is the computer repairman and local musician from Reading, Pa., who taught Taylor Swift how to play guitar. 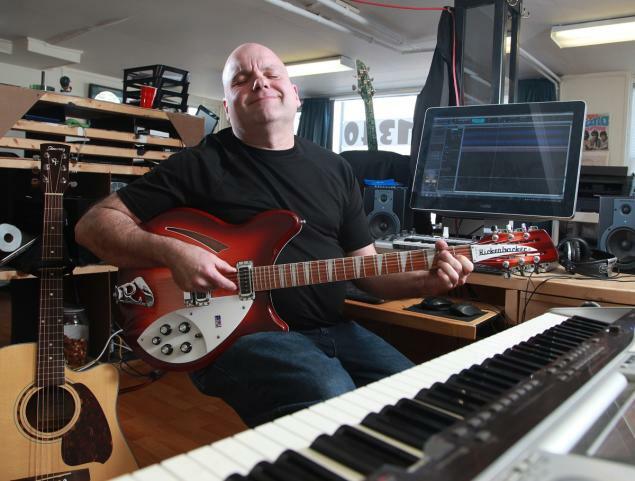 Cremer practices on his Rickenbacker guitar at his computer repair shop in Reading. Ronnie is not in his office. He is out on a service call. So Joe and his friend take me back to McDonald’s, and we have coffee for about an hour. That’s from the first song that Swift wrote, “Lucky You.” People aching to taste more of the world will turn inward in a place like this, and plot an exit. There's another side to the story about how Swift learned to play guitar, says the man who taught her. Which brings us to Ronnie Cremer and the moment he’s been dreading. A reporter is here. So it’s time. Around us: computer monitors, cords, an acoustic guitar. Above us on the wall: A Taylor Swift platinum album — a gift from Scott Swift, the singer’s dad. “It was a couple cover songs. I recorded the demo for her. It wasn’t a great demo, but it was a demo. It’s just that their publicity team, that doesn’t sell as good: A 36-year-old bald guy taught her. And from there, Ronnie says, they continued working, two evenings a week, $32 per hour. So, he never went over to fix her computer? “Honestly, it was probably months before I even looked at a computer for them,” Ronnie says. This is a perfectly fine story, but how does Ronnie feel about Swift’s shortened version? That’s John Updike in “Rabbit Redux.” He was from Shillington, Pa., and in a confluence of American legends who couldn’t quite shake this place, Swift grew up in the heart of Rabbit Angstrom country, too: Reading, Pa., and its surrounding hills, where Ronnie sits in his shop, wrestling with complex memories. 'In all honesty, I thought she was a pretty good student,' Cremer says of teaching Swift guitar. “In all honesty, I thought she was a pretty good student,” Ronnie says, still sitting on that stool at the front of his computer store. But Taylor kept at it, and they began working with Ableton Live, a computer program useful for songwriting and recording. Swift poses with fans at the 49th Annual Academy Of Country Music Awards in Las Vegas in April. During this time, Ronnie was also trying to help build a website for Taylor, but says that Andrea Swift made that job difficult. There were other glimpses of the household that struck Ronnie as darker. Swift, now an ambassador for New York City tourism, walks through Tribeca in July. The Swifts, through their publicist, declined multiple requests for comment. Before finding Ronnie, there were false leads, which is how I met Joe. On the eve of my trip, a friend of the Swifts provided a tip: It wasn’t a computer tech at all who taught her guitar, but a pizza guy. And the pizza guy had never gotten any credit. But it turns out this wasn’t quite right. Joe Piecora — the guy who drives that speedy red Mazda — is 63, a New Yorker who loves to talk and a onetime pizza man who also gave Swift guitar lessons for a year. But only after Ronnie had worked with her on chords. Joe’s task was to teach fingerstyle guitar. and in his telling, the student struggled. Actually, it is not difficult to get Joe going on what he sees as the many myths of Taylor Swift. He doesn’t like her music, he doesn’t like the marketing, he doesn’t like the image-making. He is alluding to the official story that Taylor grew up on a Christmas tree farm. Defining her childhood home turns out to be a whole other caper. There are two places. One is a farm in Shillington. The exact tale, per locals, is that the Swifts grew and sold Douglas firs on a property they owned about a mile away. They also grew, but did not sell, trees behind their home. Close enough. There’s the other place on Grandview Blvd. in tonier Wyomissing, set deep in a suburban housing tract 7 miles from the farm. It is a 5,000 square foot classical revival that sold in 2013 for $700,000, according to records. Scott Swift, a wealth management adviser and senior VP at Merrill Lynch, rented it for a time, and the family lived there. Confused? You’re not alone. Even neighbors have all kinds of trouble pinning down when the Swifts lived where, and for how long. Everyone knows that they hustled off to Nashville in 2004, and rarely looked back. 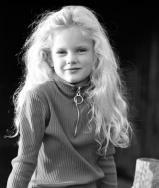 Swift is photographed in her younger days. It was on Grandview Blvd., not the whatever farm, where Ronnie and Joe gave the guitar lessons. “Taylor was the product of — it’s like the stage parent, beauty pageant documentaries that you see,” is Joe’s view. But this is not a tale of mean spirit. Like her music or not, there is something about Taylor Swift that connects. Deeply. Swift performs on New Year's Eve in Times Square. Rewind to the 2006 FallFest in nearby Lancaster. A 9-year-old local singer named Stephanie Grace won a “Kids Country Idol” contest run by a local radio station; the prize was to perform one song before the opening act at this annual festival. The opening act was Taylor Swift, 16, returning home to promote her eponymous first album. The confessional style, the ability to connect with the crowd, as if she were reading from her diary, was already there. Swift was up on stage, just dishing. “I wrote this about a boy named Drew,” she’d say, and Stephanie thought, she’s just so open, I want to write like that. Backstage, Taylor threw an arm around Stephanie, a pipsqueak in a white cowboy hat, and invited her behind the Swift table in the autograph tent. 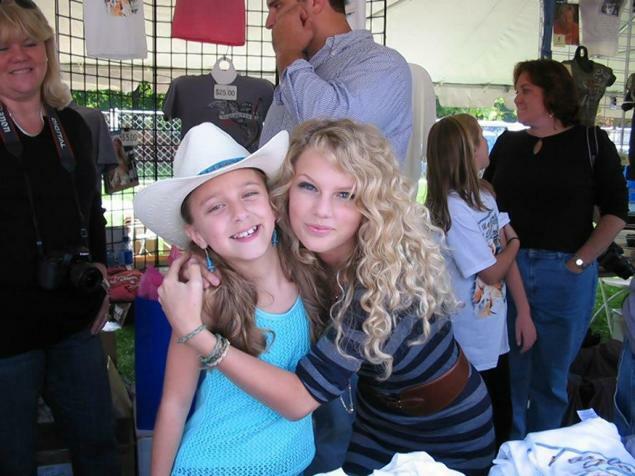 Local singer Stephanie Grace, 9, and Taylor Swift, 16, bonded at FallFest in Lancaster, Pa., in 2006. Then Taylor looked right at the little girl and presented a gift that would last for the rest of her striving childhood: She took her seriously. “Do you write?” Taylor asked. Stephanie is 18 now, working at getting out, shuffling between Nashville and Pennsylvania with the pic of herself and Taylor always in her iPhone. 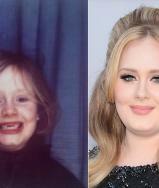 There are people who have a natural charisma, and no doubt, she had it. Andrew Orth is standing in a barn next to the Swift farm in Shillington. He is talking because he misses Taylor, and wants to reconnect. He is hoping that she reads this, and sees that he holds no grudge. The barn is Orth’s photography studio, and it is behind the house where his mother would baby-sit Taylor and her brother for many years. A table in the studio holds a selection of the thousands of photos he shot of Taylor. 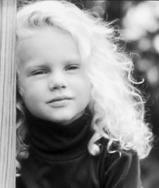 Slides from when she was four; promotional shots from her first days in Nashville. Orth, now 56 with a stubble beard and black rectangle glasses, lived in Los Angeles for two decades, shot prominent actors and directors, has a frame of reference that extends well beyond these Shillington hills. 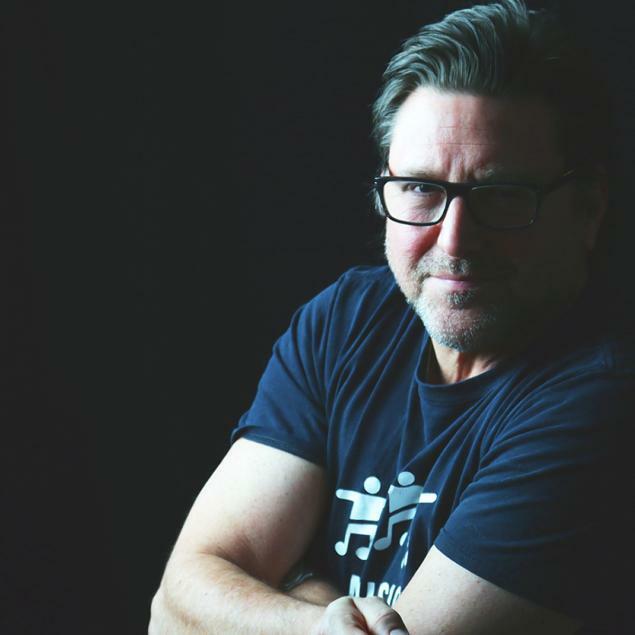 Photographer Andrew Orth, now 56. Orth is standing over the table of Swift, which takes her from childhood to the verge of stardom. He believes that he made a meaningful contribution to her image, which began during annual visits from L.A. He is disappointed to have lost touch, and hopes to reconnect and shoot her again. 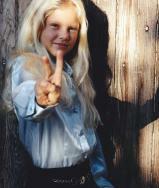 'When it came to shooting, we just totally connected, and it continued through the years,' Orth says of photographing Swift. The relationship continued into the Swifts’ early years in the Nashville suburb of Hendersonville, Tenn., where Orth would stay at the family home during his periodic trips. And then? Well . . . Reality struck Orth in a Denny’s outside of Tulsa in 2007, during a cross-country drive home from L.A. Swift had given a concert in the area, and all the waitresses and cooks were wearing the same T-shirt purchased at the show. On it: Surprise! A photograph he had taken. In the winter of 1961, an unknown who until recently had been named Robert Zimmerman rode into New York, carrying all kinds of myths. He was an orphan. He’d traveled across the country in a freight train. Anything to escape Hibbing, Minn., and write his way out of the tangle of details that made reality. He created a person called Bob Dylan, who went onto become a protest singer, rocker, country gentleman, evangelist, you name it. Taylor Swift hit Nashville in 2004 with her own tidy stories in development. At only 25, she has spent time as a country star, a pop queen, and now New York City’s ambassador for tourism, of all things. Icons have creation myths, and forever play characters. The great ones make it work over and over and over. People in Wyomissing, Shillington and Reading are savvy. They understand all this. But when asked about the Swifts — well, you can see what the answers contain. A complex blend of pride, yearning and resentment. “I wouldn’t have cared if I ever got a dime,” Ronnie Cremer says, conceding that he has received the platinum album and a $5,000 guitar from the Swifts, and was paid for all the work he did for the family.